Cindy breaking in here and including an addendum to Paul’s post. Lucky to be a lifetime Lawrencian, (ok townie), I have to dish the dirt on dining. As mentioned, Free State Brewery, which is hosting Growlerfest, is DEFINITELY a must. 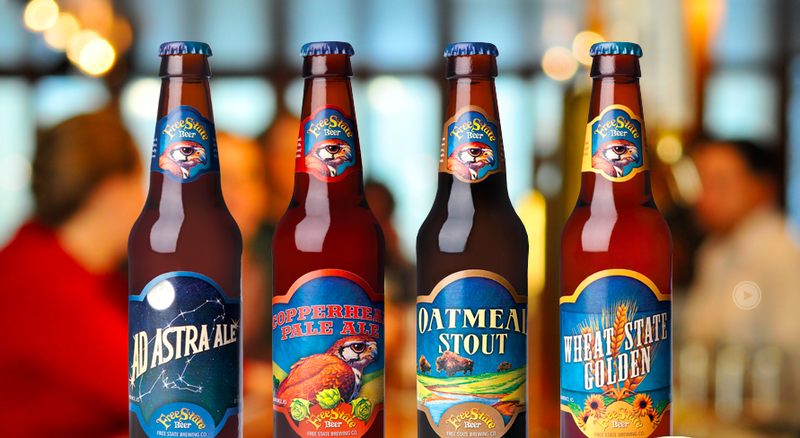 Sit in the outdoor beergarden (the weather will be perfect for this) and sample one of their seasonal brews, or enjoy one of their flagship beers. If you have dinner, fish & chips….seriously. You won’t find it better outside of London. Onion Rings are bomb too. It’s the beer batter. 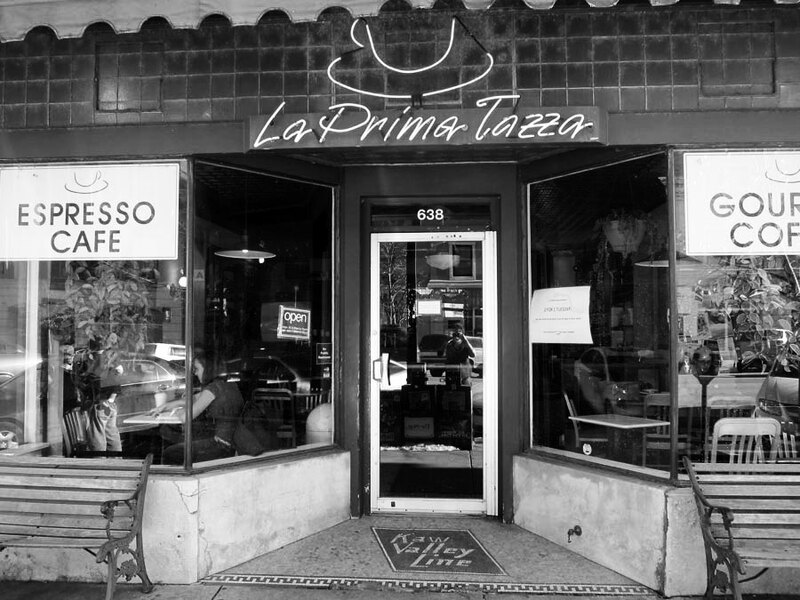 If you find yourself in need of a caffeine jolt to help you make the most of your party nights, right next door is La Prima Tazza, Lawrence’s oldest coffee shop. There’s also a starbucks across the street, but I don’t know how it stays in business. Lawrence is full of independently owned coffee shops that have asbolutely spoiled me. Another of my favorites is Z’s Divine Espresso, which is around the corner from the Lawrence Arts Center. Try the ring of fire, if you’re brave enough. And speaking of jolts of caffeine, If you are looking for a good place to get your day started, the locals know to go to Wheatfields. 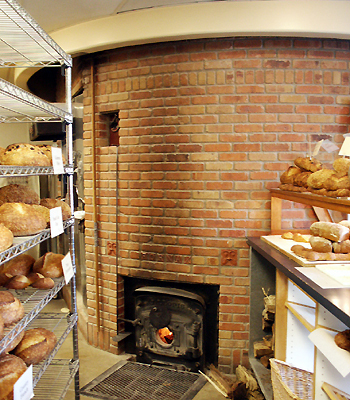 When Ken Ferguson would come in to town, he would stop to buy clay, then he’d stop to buy bread and Macaroons here. For breakfast, I get the half order of biscuits and gravy (which is huge…the full order is enormous). They also have excellent breakfast sandwiches and my daughter swears their cinnamon rolls are the best. And you can be like Ken and grab some Macaroons for the road. Of course, if you want a sweet breakfast, you have to head out of downtown and up 9th street to hit Muncher’s Bakery…and actually, you don’t have to hit it for breakfast, they’re open 24 hours, and you get a sugar high just walking in the door. BUT their cream cheese filled doughnuts are to die for….sometimes my mom asks for those in lieu of a birthday cake. 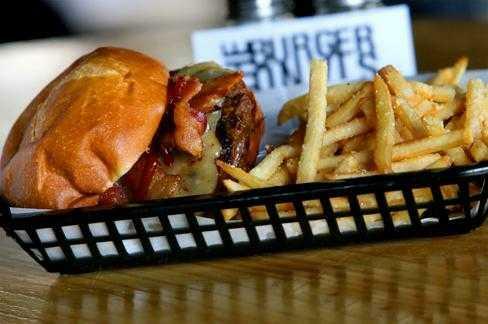 If you’re a meat eater, don’t miss the Burger Stand for their award winning burgers, and the fries….oh the fries!!! can you say duck fat fries? truffle fires? Sweet potato fries, and then the bacon cheddar bourbon fries….um yummmmm. But of course, this is Lawrence, so of COURSE a place called “the Burger Stand” has an exceptional vegetarian menu. And if you’re anti-carb, you can get a burger salad. Be sure to stop by the sauce bar and try one of each….spicy aioli or guacamole ranch for me! 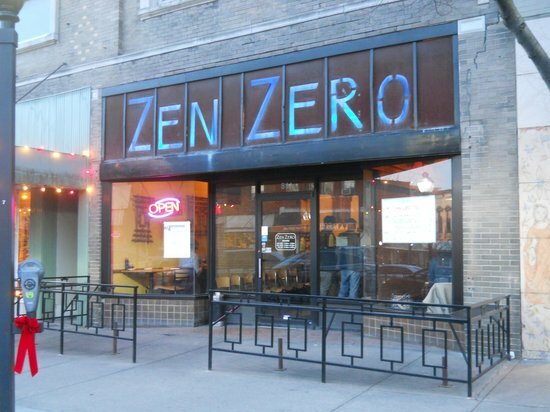 For something a bit more ethnic, I am absolutely in love with Zen Zero, an asian fusion restaurant with palate pleasing portions and pocketbook pleasing prices. I usually get two separate meals out of their phad thai. 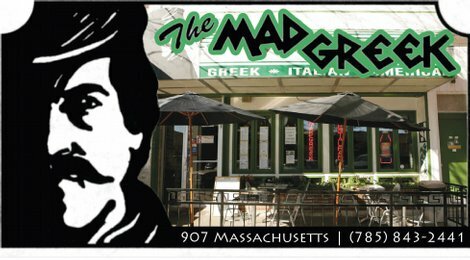 One of my absolute and long time favorites is the Mad Greek. I think almost every guest I’ve ever had come to Lawrence has ended up in this restaurant and all have loved it. Everything on the menu is fabulous, but I just love their gyro meat. Some times I get the gyro salad, sometimes the gyro plate, or sometimes just a sandwich. And it’s so good, I somehow find a way to eat it all…probably shouldn’t but I do. Of course, it’s easy to work off all this great food with a delightful stroll down Massachusetts street, filled with eclectic and locally owned shops, plus lots of sculptures which adorn the street corners and change yearly. While you’re walking, make a little space for the most divine ice cream on the planet. Forget 31 flavors, Silas and Maddy’s is THE place to go. I could dive mouth first into a vat of their rock chocolate Jayhawk, and I really have a hard time trying any other flavor, but when I do, I’m never disappointed by my choice. ALL are incredible! 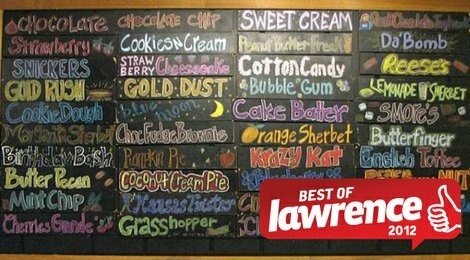 I do hope you make it out to Lawrence and enjoy your time here (because now I’m hungry)! Love going to Lawerence KS. Brackers Clay is the BEST! They have great coffee, food and art in Lawrence KS. Remember to bring dollars and some change for Kansas TurnpikeTolls to and from Kansas City under $2 each way. Also mind the parking time on the parking meters on the streets downtown.They do ticket so I always bring lots of change and put a timer on your phone to get back to your car on time.